Ask me how I’m doing and my response will usually depend upon whether or not you see me before or after I’ve had my a.m. latte. Why does my morning coffee drink improve my mood? Is it because it’s my little me-time or my moment of zen? Is the caffeine lighting up the feel-good areas of my grey matter? Or, am I just addicted and need a fix to help me get through the day? New research is shedding light on the powers of coffee on our mental outlook and health. The study, published in the prestigious Archives of Internal Medicine by Harvard Medical School researchers, found that women who drink the most coffee are less likely to suffer from clinical depression. We all get “down in the dumps,” or “feel blue” on occasion, about one in every five women will experience depression. The Archives study is the first large-scale study of women looking at caffeine consumption and coffee drinking and its effects on our psyches. In the study, more than 50,000 women were followed from 1996 and 2006. During the 10-year study and follow-up, researchers measured caffeine consumption through questionnaires. Items tracked included caffeinated and noncaffeinated coffee, nonherbal tea, caffeinated soft drinks (sugared or low-calorie colas), caffeine-free soft drinks (sugared or low-calorie caffeine-free colas or other carbonated beverages) and chocolate. Depression was defined as a new diagnosis of clinical depression and beginning regular use of antidepressants. Results? When compared with women who consumed one cup of caffeinated coffee or less per week, those who consumed two to three cups per day had a 15 percent decrease in risk for depression, and those consuming four cups or more per day had a 20 percent decrease of risk. Compared with women in the lowest (less than 100 milligrams [mg] per day) categories of caffeine consumption, those in the highest category (550 mg per day or more) had a 20 percent decrease in relative risk of depression. No association was found between intake of decaffeinated coffee and depression risk. The authors did look at other sources of caffeine, such as tea, chocolate and soda, but did not find an association between these caffeine sources and reduced risk. According to the lead author Michel Lucas, PhD, RD, a nutritional epidemiologist at the Harvard School of Public Health, the anti-depressant association with coffee most likely stems from its caffeine content. “Caffeine consumption has several biological effects that should be taken into account. 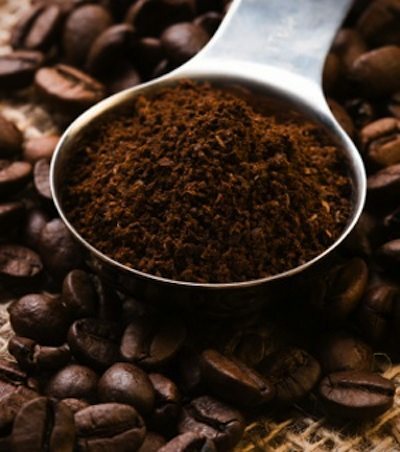 It has a well-known psychostimulant effects such as improved psychomotor performance, increased vigilance, elevated arousal and increased sensations of well-being and energy.” Caffeine also impacts several neurotransmitters in the brain. Coffee is comprised of hundreds, if not thousands, of bioactive compounds that may provide some health benefits. While too much coffee can cause the jitters and stomachaches and has been linked with adverse health outcomes, most of us automatically adjust our consumption so that it makes us feel good but not so much that we feel wired. Related Post: Free KitchenAid Coffeemaker giveaway….just to put that extra smile on your face!